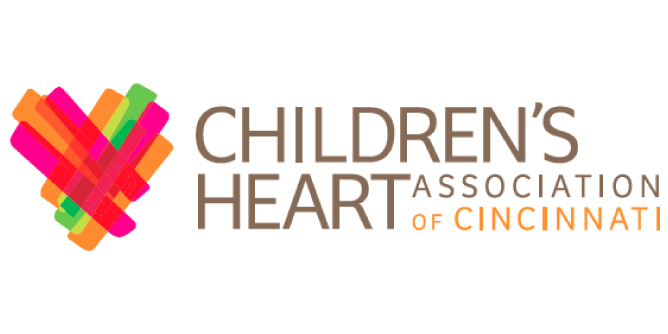 This week, the Children’s Heart Association of Cincinnati (CHAOC) launched a new website that elevates its most valuable contribution to pediatric cardiology: hope. 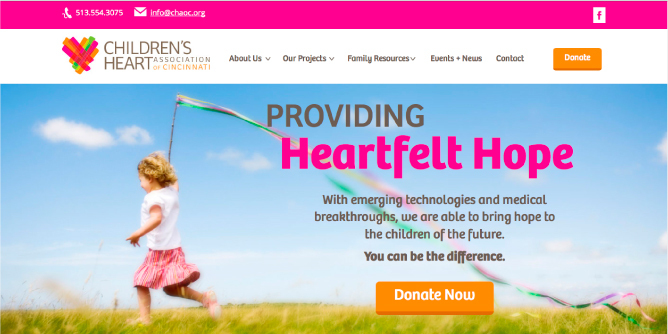 A nonprofit, volunteer-run organization, CHAOC provides funding for training, research, treatment technologies and family support for patients of the Heart Institute at Cincinnati Children’s Hospital Medical Center. The new site clearly conveys CHAOC’s philanthropic mission, inspires visitors with emotionally uplifting success stories and makes online giving simple and secure. Want to learn more? Check out the site to find out how you can be the difference for a child with heart disease.